Eating porridge is the one secret you can easily steal from the top athletes. Oats are an absolute superfood based on their dietary value. Oats are rich in healthy carbohydrates and contain more nutritional fiber than any other grain. Oats are also rich in minerals like manganese, phosphorus, zinc, selenium, and magnesium. In addition, oats contain a lot of Vitamin E. They are the perfect breakfast cereal. Oats and Porridge should be a dietary staple in practically any diet. A lot of people either don’t know or just ignore these facts. They skip breakfast altogether or eat processed low-quality carbohydrates with low nutritional value that are digested quickly, triggering unhealthy spikes in insulin and blood sugar levels. Decide not to snack on junk, but instead fill yourself up with yummy oats so much so that you won’t even think of croissants or muffins. That porridge will keep you full until, or even way past your lunchtime. Eating more porridge for breakfast has revolutionized my eating habits for good and I would like to share some of my favourite oatmeal recipes here to make it easier for everyone to start their day with a healthy, delicious and nutritious meal. I consume a huge portion of porridge for breakfast, an adequate amount of salad and/or chicken for lunch, and a light meal for dinner. I can do this because porridge is so filling that it keeps me full almost the entire day. This way, I stay lean. Eating a bigger breakfast helps me to avoid carbs later and also curbs my desire to snack during the day. One of the greatest pros of oat porridge is how flexible it is. Porridge is not known for being very exciting. It is certainly reliable, filling, easy and nutritious but not thrilling. Instead of looking at it as something boring, look at it as a blank canvas. You can do so many things with it. Go wild, experiment, use different cooking methods, try and mix different flavours, test a variety of toppings, try different textures and so on. Don't worry if you feel like you can't come up with a new and exciting porridge recipe. I have gathered some very interesting, delicious, hearty and healthy oatmeal recipes across the web that you can try out right away. Then comes the question – which are the best oats? As with many consumer goods, there’s now such an incredible range of choice, from steel-cut oats to rolled oats to quick oats and everything in between. 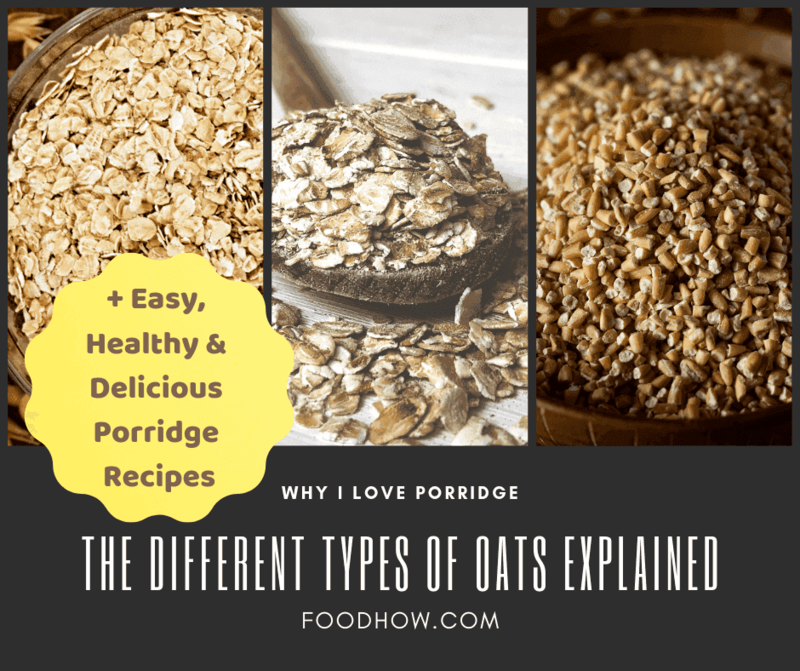 So here are some pros and cons for a different type of oats, also how they are processed and how to best cook them. Let me preface this list with a statement, namely, all oats are good oats. Whether they take an hour or a minute to prepare, all of these aforementioned oats are natural, holistic and good for you. The only type of oatmeal to avoid is the kind common in mainstream American grocery stores that come in a pouch, with added sugar, chemicals, and God knows what else. If you are that pinched for time, use Quick 1-minute oats. Rolled Oats, sometimes called old fashioned oats. Rolled Oats are one of the most standard varieties here in the USA (and I imagine other nations as well). They are a compromise between the old fashioned steel-cut oats and the convenience of quick 1-minute oats. 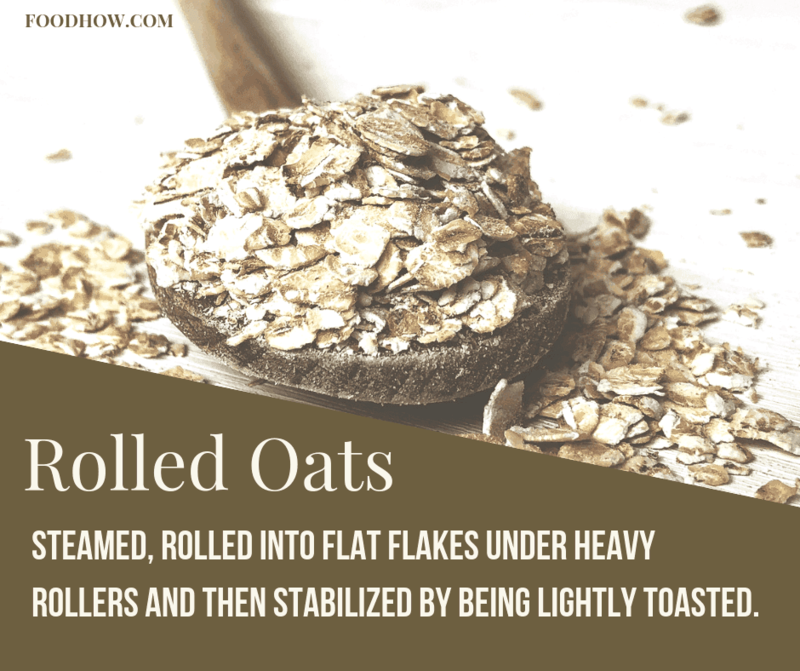 Rolled oats are created when oat groats are steamed and then rolled into ﬂakes. This process stabilizes the healthy oils in the oats, so they stay fresh longer, and helps the oats cook faster, by creating a greater surface area. More surface area means more outside space for the heat or hot fluid to attack the food, thus making it cook faster. Quick 1-minute oats are very convenient. 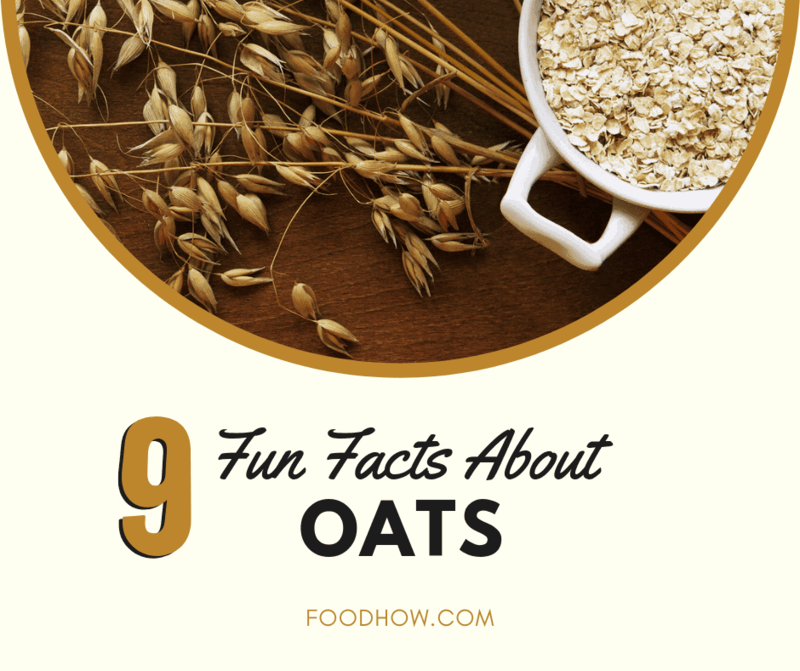 They are already partially cooked, so they can be used in ways other types of oats cannot. 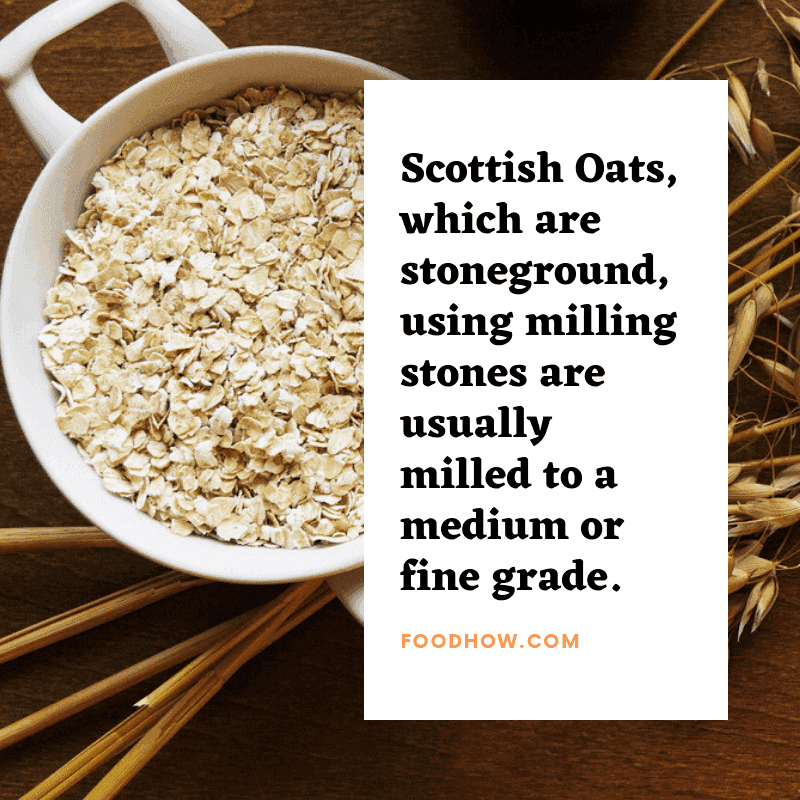 The nutritional value of quick oats, rolled oats, Scottish oats, etc… is all the same, which is one reason why oats are such great food. There’s versatility and each individual can find the kind that best suits him and his lifestyle. 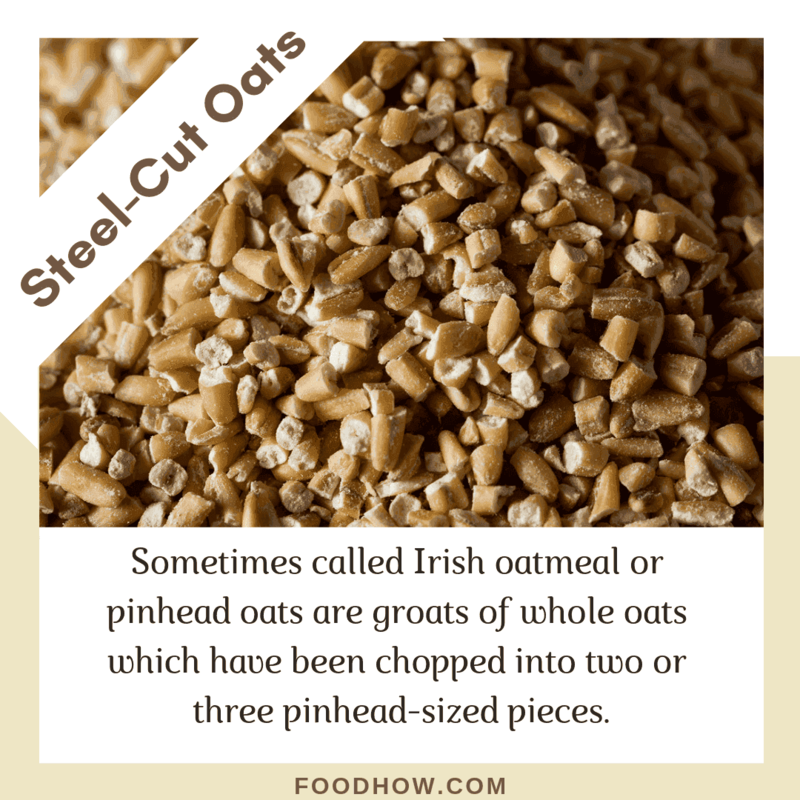 Steel cut oats, also called Irish oatmeal or pinhead oats. Steel-cut oats are a more old-fashioned kind, and take a lot longer to cook, but these are the most nutritious kind. 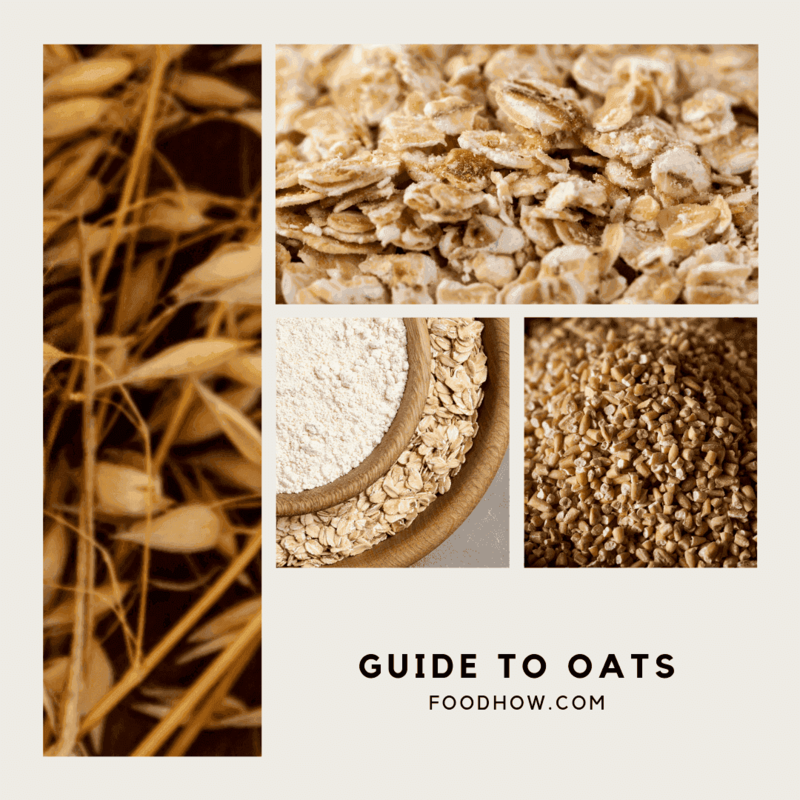 If you take whole oat groats (the whole grain as it is called) and cut it into two or three coarse pieces, you get steel-cut oats, also called Irish Oatmeal. These are best recommended for people who are serious about their oatmeal, who love the flavor and texture of porridge and have the time to cook slow, and know how to season the porridge in a gourmet fashion. They can take up to 45 minutes to cook and require a lot more water or milk. The result is a creamier, more hearty porridge with a good texture and lot of different flavors depending on how you prepare them. Finding steel cut oats can be a bit difficult. Most supermarkets won't sell them so the best place to buy steel cut oats is a health food store or you can order them online here as I do. Scottish Oats are a refinement past Steel-cut oats. They are stone-ground instead of cut, making them a finer almost powder like texture that results in a creamy porridge or oatmeal. Once again, it is all about personal taste or choice. 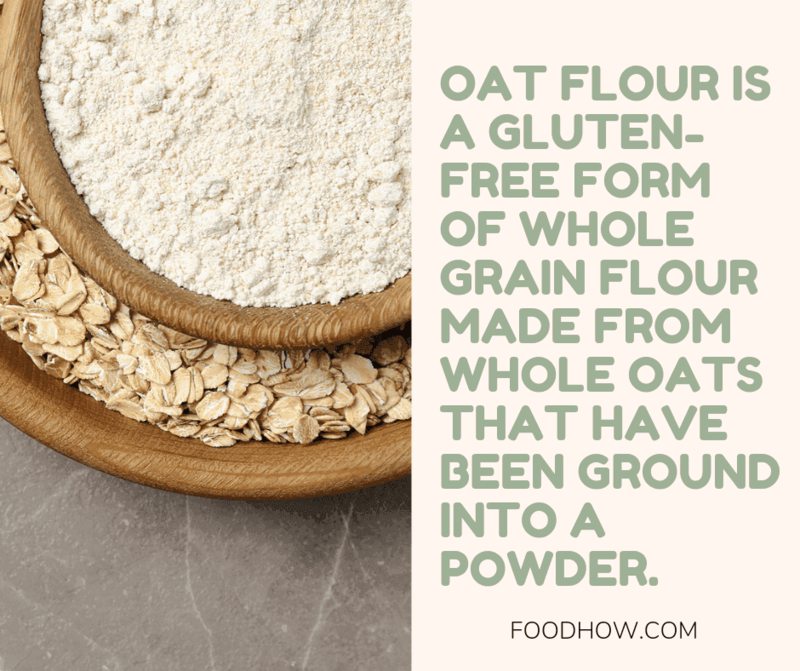 Oat flour is high in nutritional value and it is great for baking. Finally, there is Oat Flour, which as its name implies it is ground finely into a powder and can be used for baking gluten-free cookies, cakes, bread or making healthy pancakes. Porridge is a quick and easy, nutritious and delicious. All the oats are good oats and great for making porridge. Steel Cut Oats are most hearty and tasty. As it takes about an hour to prepare them properly then it is not always the first choice for people. But if you have time to cook then it is worth the wait. Quick Oats are very easy and quick to prepare. Quick oats can be prepared with just boiling water or wherever there is a Microwave. But compare to steel cut or rolled oats these are not as tasty and filling. The best choice for most people is the old fashioned, rolled oats that take about five minutes to prepare on the stove-top, cooked in water, milk, a combination of both, and all the other ingredients you can think of. The only oats I would NOT recommend are these small instant saches or little one portion tubs you can find in any supermarket. These are highly processed and full of sugar and artificial flavouring. These are also 3 times the price then your regular quick oats that can be cooked as fast and easily if you are short of time. So these are the only oats I would not recommend. Scotland is the home of porridge originally. It’s only fair that we return to our roots and explore a few traditional recipes. These next recipes are going on a tour of the highlands! Optional: brown sugar, maple syrup, honey, jam, golden syrup, butter. Slowly bring the oats to boil, stirring constantly until the porridge starts to thicken. Then remove from the heat and let stand for a few minutes to cool slightly. Now you can serve the porridge in a bowl with either some butter, maple syrup, honey, brown sugar or golden syrup or even spoon of jam. I personally like to sprinkle some cinnamon and brown sugar on my porridge or if I feel really healthy then I use Yacon Syrup. Grease a 4-quart slow cooker with canola oil. Add the pears to the slow cooker along with the oats, water, milk, sugar, butter, lemon juice, cinnamon, nutmeg, vanilla extract, and salt. Stir. Pour pecans into a dry skillet and arrange in an even layer. Gently shake the skillet and frequently stir until the pecans are golden brown and aromatic. This will only take a few minutes. Remove from the heat, let cool, then roughly chop. Ladle the porridge into bowls. Stir in the pecans (use as much as you like). Going back to the roots – this is the simplest recipe yet. Just milk and oats, simmered until they’re tender and ready to be topped. Why complicate what’s been successful since medieval times? Decadence to get your morning going. This recipe calls for the oats to soak overnight. Then, simmer the soaked oats in milk and butter before getting creative with your flavors. This recipe recommends sugar, nutmeg, and cinnamon – almost like a Christmas cookie! Watch this great video below where Jamie Oliver demonstrates his own oatmeal recipes for the ultimate breakfast and twists it all up with different toppings so that you will never get bored with this classic dish. Meal prepping made easy! Overnight Oats are no-cook oatmeal and it is very healthy. It's also easy to prepare and customise and will save you time in the morning. Here are some great overnight oats recipes with Almond, Cinnamon, Apple, Nuts, Banana, Carrot, Blueberry, Peanut Butter, Strawberry and many more. If you have never heard of overnight oats before and want to learn more then check out these great recipes below. The best part? No cooking! It does not get easier than this “Stir everything together – Leave overnight.” Even the grouchiest morning badger can’t pass this recipe up! Give yourself a head start and make breakfast the night before (save an extra 10 minutes to hit snooze one more time). If you don’t like the idea of eating your oatmeal cold, pop it into the microwave and you’ve got a warm breakfast! Overnight Oats Chia Seeds Recipe! A recipe from a registered dietitian Nichola Ludlam-Raine, so you know you can trust these guidelines. This writer suggests a few flavor pairings to try in your overnight oats – and the best part? You don’t have to change a thing about your basic recipe. Sound tempting? Go here to see what you will need and step-by-step instruction on what to do! No matter what you do, you can’t mess this recipe up. This article takes you step by step (with pictures!) to build the perfect breakfast overnight. Mason jars are a perfect vessel for this kind of dish – you can mix in the jar, pop a lid on it for storage, and grab a spoon for tomorrow. No cooking, no mess. You can sneak a superfood into literally everything. Oatmeal is a perfect carrier for an added nutritional boost – and it can still be delicious! Swap your regular porridge to an upgraded superfood version full of amazing nutrients such as spirulina, chlorella, ginger, curcumin, ground cinnamon and a mix of raisins, goji berries and cranberries. This hearty and thick porridge is made in a crockpot and it is naturally sweetened with honey and mashed banana. 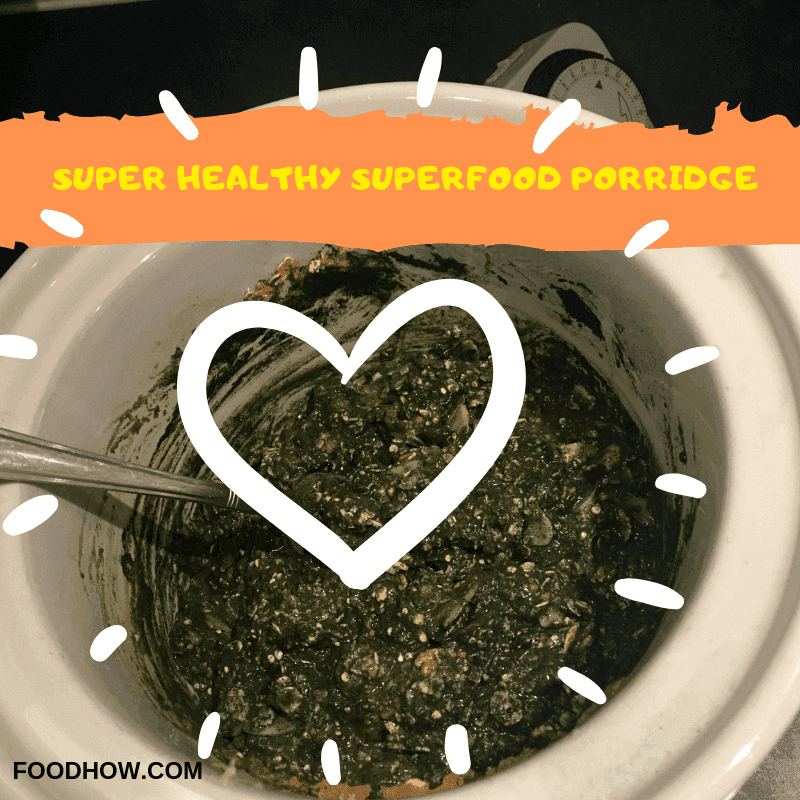 This superfood porridge is my go-to breakfast particularly in the colder month but is also perfect for all year round. You’ve heard of golden milk – now try golden oats. Turmeric is the star player in this recipe, a superfood with a newfound cult following. Turmeric is known for fighting inflammation. Orange and ginger come to add refreshing, bright flavors. This is a unique bowl, but one you won’t want to miss. Give this a try when you’re looking to fight bloating or inflammation. Let’s start with the basics. Food trends can be intimidating, especially when recipes include foreign ingredients or unknown techniques. These are great starter recipes as you branch out in your morning (or afternoon or night) routine. Fast and classic. This recipe establishes an oatmeal baseline – warming, healthy, and easily adjusted to fit your daily cravings. There are only 6 ingredients (including water) for this recipe – ingredients that most people keep on hand anyway! Easily tweaked for a dairy free/vegan recipe – it’s truly the perfect place to start. After a total of 7 minutes, you’re ready to dig in. Stovetop oats are a simple way to feel like you made a chef’s recipe. This is a three ingredient, 8 minute option, serving as the perfect base for sweet or savory toppings. You’ll see that salt is the only added flavor here – because the recipe leaves room for you to explore! Quinoa makes a debut in this recipe, adding a nuttier flavor to your bowl - perfect as you approach summer months and want to change up the winter diet. 6-8 hours may seem daunting – but fear not! You simply toss the ingredients in a slow cooker overnight and wake up to a perfectly cooked breakfast. This recipe recommends sweet toppings – get those summer berries ready! 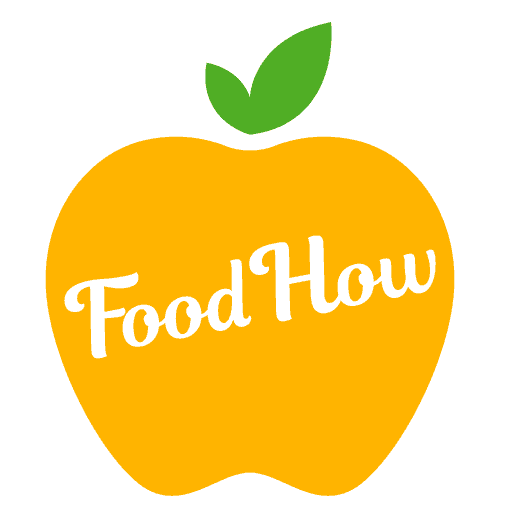 Steel cut oats, apples, and cinnamon in a slow cooker? Hello apple pie for breakfast (and goodbye to apple pie calories)! Don’t worry about planning for the time to cook those steel cut oats down to perfection – get them in the crock-pot and put your mind at ease. Steel cut oats: wholesome, hearty, and filling. The equivalent of a thick wool sweater in the winter – when you want it, you REALLY want it. Steel cut oats pack a punch. Their texture is thicker, and although they take a little more time, they are well worth the wait. f you’re looking to experiment in the world of meal-prepping, this is a great plan for breakfast! Make these oats ahead of time, and they’ll only get better as they marinate overnight. This recipe finds its sweetness from mashed banana (a great trick to keep on hand if you’re looking to cut back on added sugars). Flax and chia, both jam-packed with nutrients like protein and fiber, add a nice thickness, giving you a wholesome, healthy bowl to start your day. The crockpot makes a cameo in this recipe again – because you can’t argue with slow-cooked, steel-cut perfection. This recipe calls for vanilla and cinnamon to start, but the cook has also provided a list of various toppings to explore. Adding extra liquid at the beginning creates a softer texture and prevents sticking to the pot. Leave your oats for 6-8 hours (perfect for a healthy night of sleep)! Looking to get shredded but tired of protein shakes? Bulk up your mornings in a new way! Oats carry a natural amount of protein, but you can go further to meet your nutritional goals. A natural protein punch: Peanut Butter! This recipe is tailored to an individual size and takes only 18 minutes to finish. Our cook also incorporates vanilla protein powder made from brown rice – but you can add your own favorite protein powder! Banana and cinnamon re-appear here, and at the end, you have a wonderful bite of something like banana bread. Vegan? Tired of being asked where you get your protein? All you have to do is show those skeptics your oatmeal recipe! This cook doesn’t shy away from different grains – buckwheat flakes, oats, quinoa flakes – get crazy. Add a scoop of vanilla vegan protein powder and you’re on your way. For a nice punch, consider a dash of superfood (cacao, maca, or acai powder). On the go? Not a morning person? Running late and need a quick fix? Porridge will always have your back. You won’t feel like you’re skipping any steps with these microwavable options. Five minutes! All you need is five minutes and you’ll have a healthy bowl of oatmeal, without the expensive packets (careful with those convenient pockets: pre-made oats are often full of added sugars). Three ingredients, and whatever toppings you want. This literally couldn’t be any easier. If you’re not one to rely on a microwave, you can still have oatmeal in a flash. This recipe takes 3 minutes to complete. All you need is oats, milk, and water to get you going. Then it’s up to you to add the extras – a tablespoon of maple syrup or my favourite Yacon Syrup, some berries, or a handful of almond slivers, the possibilities are endless! You don’t have to have a sweet tooth to enjoy the benefits of a warm bowl of porridge in the mornings. Oats are part of the grain family, and in their pure form, don’t carry a sweet flavor. This makes them available to savory recipes too! All are invited to this oatmeal party, sugar-lovers or no! Shape Magazine has put together a perfect list of recipes that are totally savory. If you’re looking for a break from berries, this is the list for you. There are plenty of flavor profiles to consider, from spinach stewed oatmeal to oatmeal congee to a Mediterranean bowl. Take your pick here! By now, you’ve seen oatmeal with avocado – but have you seen oatmeal with avocado and SALMON? Talk about a protein boost! Maybe you want to spice up your lunch, or have a savory craving for a rainy morning - this is a funky, fun bowl with lots of textures that’s sure to wake you right up. Get a little experimental with your porridge. Probiotics are great for supporting the good bacteria in your intestinal flora and digestive track. Fermentation adds a unique, tangy flavor, that can really spice up your morning routine! If you love fermented foods and the sour kick in Greek yogurt, you’ll love these options below. This is a good explanatory article about what to expect when embarking in the world of fermented porridge. Much like sourdough, you have to create a starter. When you are ready for breakfast, cook porridge, as you would normally – but don’t forget to consider the acid present in your oats (milk may curdle)! This option includes whey in the soaking process, which adds a new level of flavor. Ghee can add richness to the meal, and you are still free to put as many (or as little) toppings as you like. This author suggests a drizzle of kefir around the bowl when it’s time for breakfast – two forms of probiotics are sure to start your day off right! This is a unique recipe because our author suggests oat flour for a smoother “pudding-like” texture. The recipe doesn’t stray far from what you’ve seen in the past, but the key ingredient takes a different form. You can also make your own oat flour simply by blending your rolled oats in a food processor! Oat Milk: The creamy, non-dairy milk of oats is one of my best ways to enjoy the rich flavor and wonderful texture of oats. It’s simple to make too – you just whiz a cup of oats with 3 to 4 cups of water in a blender until its smooth. You can add more or less depending on how thick you want your milk to be. Chill and serve just like any other non-dairy milk. Burger Binder: Another amazing use for oats is in binding veggie burgers, like black bean burgers. After making your burger base, just toss in a handful of oats to improve the texture and binding power of your burger. Oats help “set” the burger as it bakes, so you achieve a less crumbly and tenderer veggie patty. Alternative Whole Grain Flour: Grinding oats produces an appetizing and multipurpose flour that can be used for anything, from cookies and cakes to freshly baked bread, and lots more. To grind your oats, just whirl them through your coffee grinder, high-speed blender or food processor till they become an evenly ground powder. You can use two-thirds oat flour instead of all-purpose flour in your recipes. Stew Thickener: Oats can be used, whole or ground, to thicken stews. Toss in 1 or 2 tablespoons of oats or oat flour in your soup or stew after cooking, and simmer for 5 to 10 minutes until it thickens. This is particularly effective for chili! Smoothie Booster: Oats are just what you need to add bulk to your breakfast smoothie. Add 1 or 2 spoons to your nutritious smoothie. Here’s a suggestion – a smoothie made from a frozen banana, a small scoop of butter, a handful of berries, and 2 tablespoons of oats, blended with any chilled, non-dairy milk. Granola Base: Can we really talk about how to enjoy oats without bringing up homemade granola? It’s so simple to make that you’ll probably never need to buy granola bars from the store again. You can make it fully vegan by substituting the honey with maple syrup or agave. Pie Crust: Looking for a simple pie crust that’s also nutritious? Oats to the rescue again. You can use oats instead of the crushed graham crackers in conventional cheesecake crusts. Just mix a cup of oats with 3 tablespoons of coconut oil or melted margarine and press the mixture into your pie pan — Bake at 400ºF for 10 minutes. An even easier way is to sprinkle some toasted oats on the bottom of the pie pan and then pour the cheesecake mix right over the top and bake as required. No-Bake Cookies: Fresh no-bake cookies are sure irresistible, and oats are a major ingredient in these yummy titbits. I keep a bag of rolled oats around so that I can whip up a batch of no-bakes whenever I feel like some cookies, and I don’t want to bake. 1. October 29th is National Oatmeal Day. 2. January each year is recognized as National Oatmeal Month, the month when more oats are bought than any other time of year. 3. March 18th is Oatmeal Cookie Day. 4. 75% of US households have oatmeal in their cupboards right now. 5. Oatmeal cookies are the major non-cereal use of oatmeal. Meatloaf is second. 6. Oatmeal is amazingly affordable, at less than 15 cents per serving. 7. Oatmeal is healthy for the heart. There are around 40 scientific studies that have proven that consuming oatmeal in our daily diet, as well as other foods low in cholesterol and saturated fat, could help lower the risk of heart disease. 8. There are several kinds of oatmeal in the market – from instant to old-fashioned. 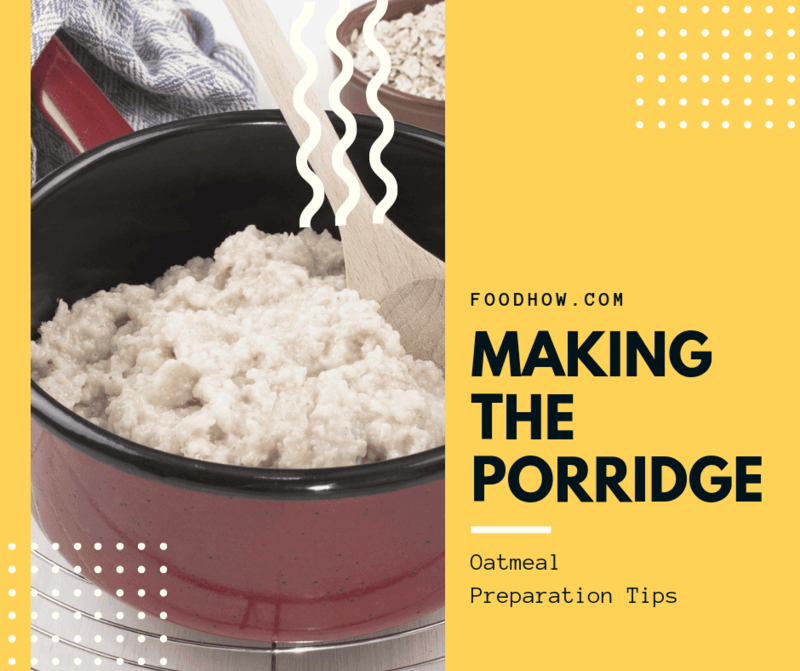 Rolled oats that haven’t been cut into smaller pieces are regarded as old-fashioned and take about 5 minutes to prepare. They are chewier consistency. Instant oatmeal usually has sweeteners as well as other flavors and ingredients added. 9. Oats were actually one of the first grains cultivated by man. It is recorded that oats were eaten in China, as far back as 7,000 BC. The ancient Greeks used oats to make recognizable oatmeal first, very similar to the porridge we make today. 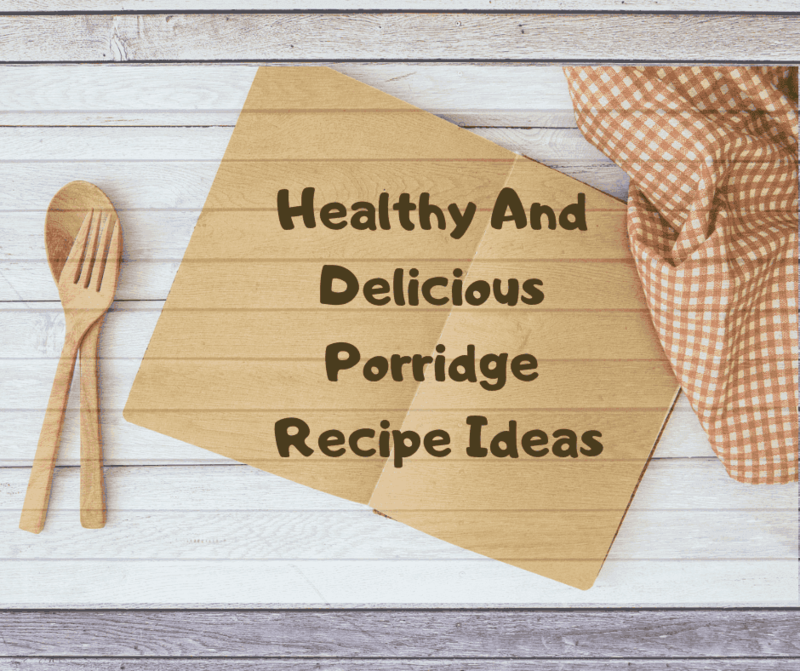 Do you have a healthy and delicious porridge recipe that you want to share? If so then let me know below and I will post it here for everyone to enjoy. Write a short original description of your oatmeal recipe (not the entire recipe) and include the web-page where the recipe can be found. I recently switched to steel cut oats. I think it was a great decision. I know that I have to start eating healthier and this is one step in that direction. I don’t eat oats often (still a little too much of a carb hit for me, alas) but when I do, I find I like cutting it with some flax seed and hemp. This provides a little bit more nutrition and fiber, and less of a insulin spike, which can be a good idea for diabetics. We make our own mix here at the house, and that helps us stretch out the more expensive hemp hearts with inexpensive ingredients like flax and oats. The kids love it and eat it way more often than I do, and you know how difficult it is to get kids to eat anything, haha! We love adding a little banana and peanut butter powder with cinnamon and some sugar-free maple syrup. Yummy!